Shiroka lyka town in Rhodope mountains of Bulgaria. Old revival settlement with traditional Bulgarian houses made of stone and wood. Bulgarian revival architecture. Facade of old building. View of traditional Bulgarian houses in Shiroka lyka. 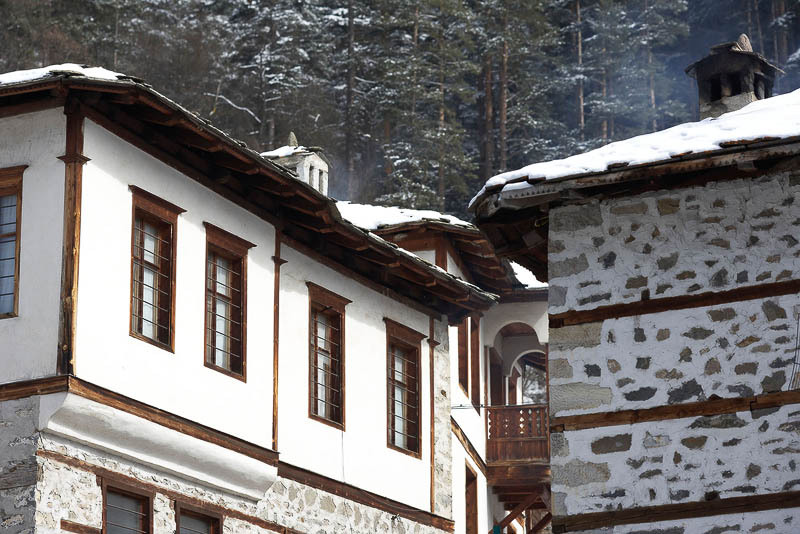 Exterior look of traditional Bulgarian houses and roofs covered with snow.